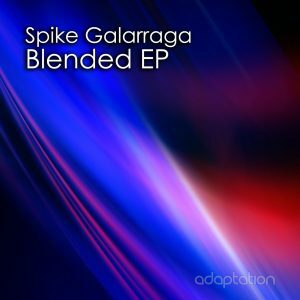 Adaptation Music welcomes back Spike Galarraga following his ‘Lifestyle EP’ with another solid deep house three tracker entitled ‘Blended EP’. Former Buenos Aires and now Barcelona native Spike Galarraga is relatively new to the underground house music scene but is already showing a remarkable consistency and quality within the realms of deep tech house and techno. His signature sound of deep infectious late night rhythms and sub heavy basslines is remeniscent of the classic Terry Francis sound synonymous with his long term residency at the legendary Fabric London. Opening the EP is ‘Countdown To Superstition’ which replicates the sound associated with Craig Richards’ Tyrant events and compilations and also has comparisons with the underground Berlin sound. Next up is ‘La Guillermina’ which is a more atmospheric track with haunting chords yet it keeps finely in tune with the late night theme of the EP. Closing the EP and last but not least is ‘Why Do We Fall’ which has more of a prog feel to it but showcases the versatility and quality of the artist and completes yet another great EP for Argentina’s rising star.